Use paint, markers, glitter, and more to decorate the heart! 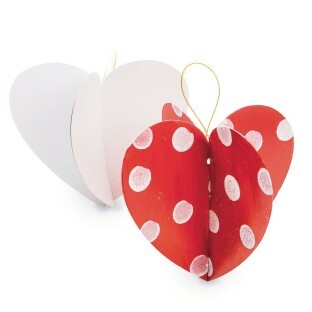 Decorate the pieces, then slot fit together to make a 3D heart ornament. Use paint, markers, glitter, and more. White chipboard and gold cord included for hanging. Decorating supplies sold separately. Assembled heart measures 5” x 4-1/2” x 5”.